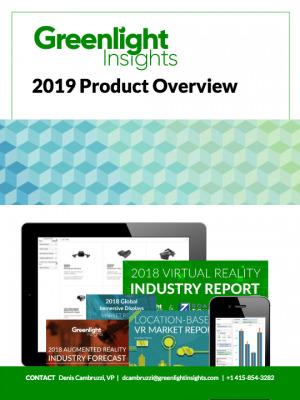 Greenlight Insights’ latest report, The State of Location-Based Virtual Reality in China, provides unique, in-depth information regarding the rapidly expanding market for out-of-home xR (Virtual Reality – VR, Augmented Reality – AR, and Mixed Reality – MR) entertainment in China. 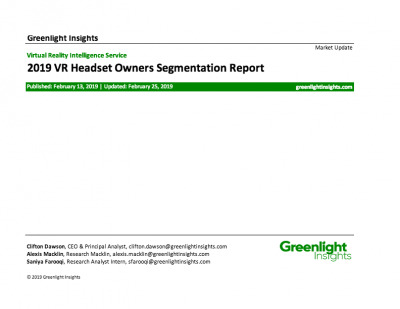 Greenlight Insights anticipates a compound annual growth rate (CAGR) of 34.1% for total Chinese LBE VR revenue from 2018 to 2023, resulting in revenue of $1.3 billion by the end of 2023. This growth will be driven by increased demand, lower startup costs, and the addition of ancillary revenue sources to technology offerings. In addition to reduced hardware costs, largely from the introduction of stand-alone headsets, such as the Vive Focus and Oculus Quest, Greenlight expects LBE operators to increase repeat business by promoting memberships, monthly passes, and special events. Sales of food and beverages, branded merchandise, and home-use accessories will also provide a revenue boost for operators. In addition to popular VR title, such as the hit Beat Saber, China’s LBE VR venues are offering custom free-roam experiences. In these attractions, groups of players wearing untethered head-mounted displays (HMDs), backpack computers, and optically tracked body suits enter large rooms where multiple players and virtual objects provide exciting game play. Locations in high-traffic areas, such as regional shopping centers, are drawing strong traffic. However, a lack of Chinese-language content has provided some drag on the market. Greenlight Insights sees evidence that local content providers are stepping in to close that gap, and forecasts more localized content will help drive strong growth in the Chinese LBE VR market. The State of Location-Based Virtual Reality in China is available now. Current clients should contact their account executive to arrange delivery of the report. Others may visit Greenlight Insights’ website at www.greenlightinsights.com, phone 415-854-3282, or email hello@greenlightinsights.com to order the report. 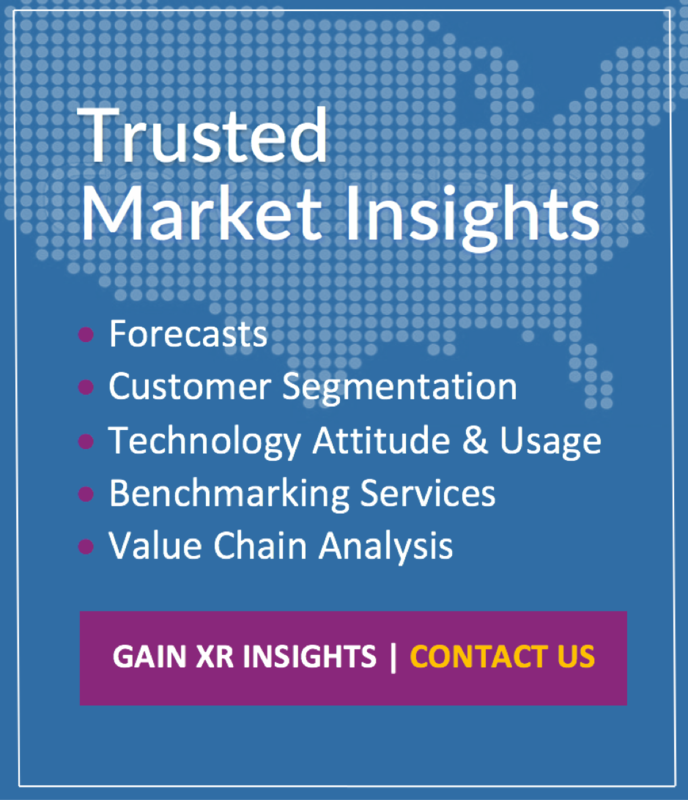 Greenlight Insights delivers critical strategic insights to the world's leading hardware makers, publishers, developers, service providers, institutional investors, trade associations, and government entities. Greenlight Insights provides proprietary and syndicated research, as well as consulting services. Based in San Francisco, with offices in Boston and Denver, Greenlight Insights comprises a diverse team of experienced industry professionals who offer deep expertise in xR markets.